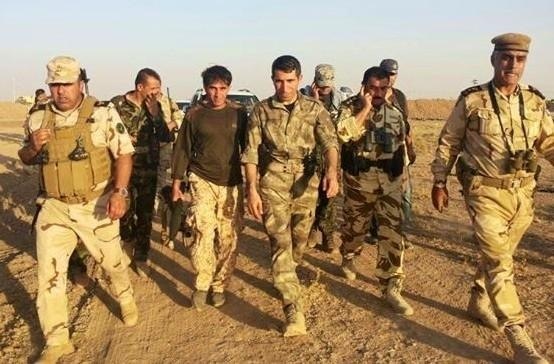 According to Anwar Moslem, Premier of Kobani Canton fierce battles continue around the city, especially near Mistanour Hill, and they are still in full control of Kobani city. Moslem adds that ISIS has 4 tanks near Mistanour which continuously shell the city. Some sources report ISIS now control of southern part if Mistanour Hill while some others did not verify this information. As far as coalition air strikes concerned, sources say there were probably 6 (some say 5, some others say 7) strikes last night. However, they did not cause serious damage since heavy shelling continue (*). Several other sources inside Kobani also provided information similar to Mr. Moslem’s account. Additionally, they reported that there are casualties from both sides, but loses of ISIS were considerably more than YPG’s. * Because access to areas targeted by coalition jets is limited, information of sources about the effectiveness of airstrikes may not always be accurate. However, all sources agree that Saturday, October 4 strikes were the most effective strikes of coalition forces against ISIS near Kobani.